Water Remediation Technology LLC is the only water treatment company in the United States to provide a total, long-term, environmentally sound solution for removing radioactive and other select contaminants from water sources. Specialized licensing enables the company to not only remove contaminants but also safely dispose of spent radioactive treatment media in an environmentally responsible way. WRT’s objective is to provide clean water using methods that maintain a clean earth. WRT provides everything needed for clean, safe water and maintaining a clean earth including process equipment, proprietary treatment media, safe exchange of media, assurance of radiation safety, the proper handling and disposition of treatment residuals, and maintenance. The WRT total solution keeps costs low for customers and helps ensure contaminants are removed from the water and the community. WRT guarantees its water treatment systems will reduce high levels of select contaminants to below the requirements of the Environment Protection Agency. WRT maintains an environmental perspective and recycles valuable contaminants into useful products when economically feasible. WRT has more than 175 water treatment systems in operation and has conducted over 100 pilot studies nationwide. States with WRT facilities include California, Illinois, Wisconsin, New Jersey, New York, Virginia, North Carolina, South Carolina, New Mexico, Georgia, Texas, Colorado, Nevada, South Dakota, Connecticut, Missouri, Florida, Nebraska, Wyoming, Maryland and Utah. WRT is the first company to receive a multi-site license from the Nuclear Regulatory Commission to handle radioactive material. State and federal licensing to handle radioactive residual waste enables WRT to safely dispose of spent treatment media. WRT assumes liability for removing and disposing of select contaminants, thus reducing costs and labor for water providers. 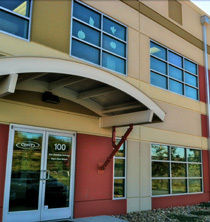 Based in Westminster, Colorado, WRT was founded in January 2000.